Tim Miller is having an excellent winter. He has succeeded on a number of demanding test pieces such as The Secret, and in December he climbed a difficult new route on The Cobbler with Martin McKenna. 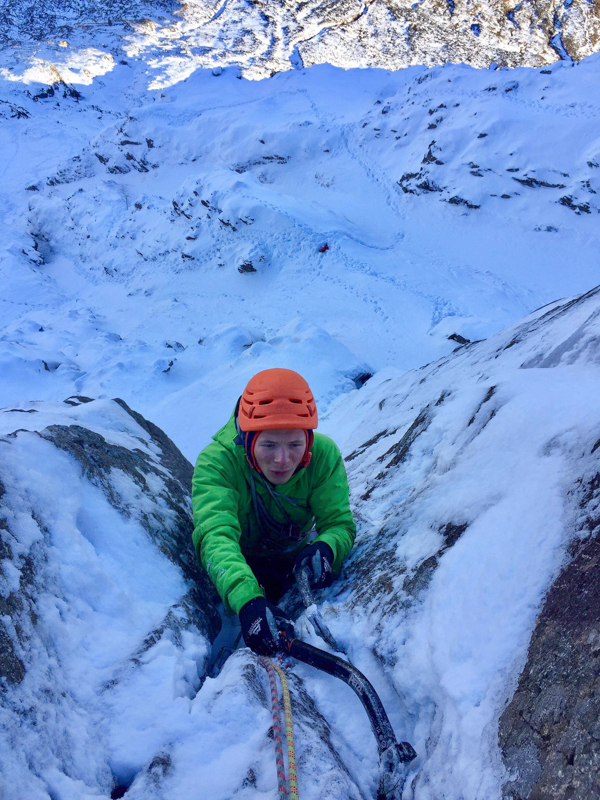 On February 2, Tim added another notable route to his season’s haul with the first winter ascent of Dingle (a summer HVS) on Buachaille Etive Mor together with Calum Hicks. This entry was posted in New Routes, Repeats and tagged Buachaille Etive Mor, Calum Hicks, Tim Mill, Tim Oliver. Bookmark the permalink. As Tim said, the climbing on Dingle is fantastic. Just a shame it’s over so soon! Perhaps soft for VII 8, but think you’d be getting sand bagged at VI 7!